Equipment matters. What about intuition? Whether you call it intuition, instinct, or improvisation, we want to take a moment to acknowledge the lesser-celebrated aspect of brewing coffee that makes all the difference in how you enjoy your morning ritual. We spoke to two longtime colleagues at Blue Bottle whose very jobs are concerned with coffee quality. We were curious to know how intuition figures into their coffee lives. Of course, if part of joy is contingent upon competence, then we wholeheartedly recommend learning your preferred method's basic principles. But once you know the essentials, let yourself relax into the routine. Kelly tells the story of how, when training baristas, they’d pull entirely acceptable shots, but dump one after the other because they only wanted the “right” shot. The truth is, for a guest waiting in a cafe, a nearly perfect shot executed in a few minutes' time is usually preferable over one pulled “up to spec" after many tries. Impatience, it seems, has a way of altering the taste of “perfection." Green Coffee Coordinator Carly Getz remembers how, when she first began as a barista, a Blue Bottle veteran came on bar and flouted all the “rules,” teaching the baristas that coffee is far more malleable than they imagined it to be. Kelly likens it to cooking for friends—one of those unfortunate meals when all you seem to notice in every bite is what you did "wrong." Change your perspective, and just maybe, you'd be able to taste what went well—and learn something in the process. We emphasize replication and a scientific approach in coffee brewing, but experimentation and shake-ups in routines are what lead to surprise. “So much of coffee knowledge is based on people’s observations,” Kelly reminds us. 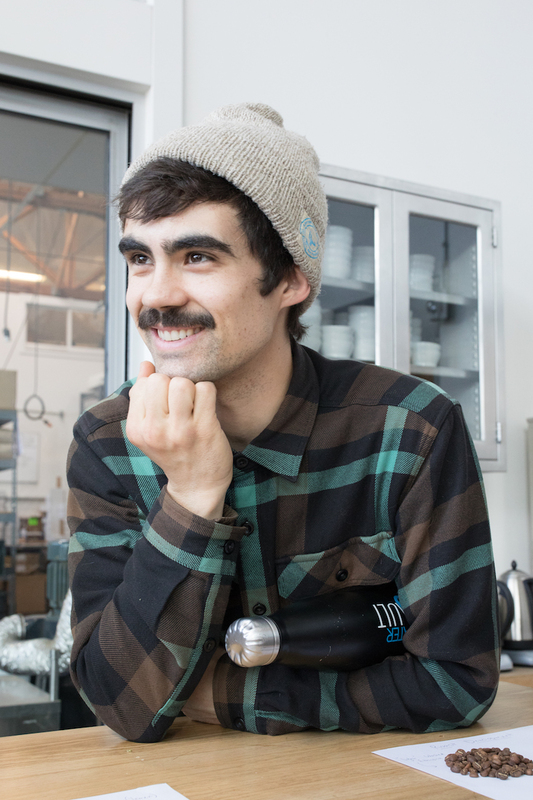 "So often, it's just one person," he says, "likely a thirty-year old man, who has let his intuition guide him, and now he’s telling you, ‘this is the way.’” Kelly reminds us that when he began at Blue Bottle, baristas didn’t use scales, but a few of them, aided only by their keen senses and venerable experience, could pull a beautiful shot every time.